The park is almost open. Two decades on and Jurassic Park has morphed into Jurassic World, the one and only dinosaur theme park. Science has apparently evolved too: the genetically-engineered dinosaurs are to take a secondary role to a new star of the show, a genetically-engineered hybrid, worryingly named Indominus Rex. Undoubtedly, chaos will ensue. In the wake of the 1993 Jurassic Park film, scientists who have anything – or even nothing – to do with palaeontology or molecular biology are almost always asked the same question: “Can we resurrect a dinosaur?” The answer is always an emphatic no. But to some extent, Jurassic Park did actually drive and develop the science and technology of ancient DNA research. I’ve spent the past year interviewing scientists about the history of ancient DNA research and the effects of Jurassic Park on their work as part of my doctoral degree. Ancient DNA research walks a fine line between science and science fiction, something stressed by its short but sensational history. Its beginnings tell a story of science, speculation, hope, and hype – and Michael Crichton, the author of the original Jurassic Park novel, was quick to pick this up. Dinosaurs were always a frequent feature of museums, but breaking open perfectly preserved bones to discover what was inside was a novelty. In the 1980s, innovative ideas behind the search for DNA from ancient amber insects to extinct museum specimens provided the inspiration for Jurassic Park, and the predictable and catastrophic consequences of bringing dinosaurs back. What wasn’t foreseeable was the incredible impact the movie would have – and still has – on the development of ancient DNA research. It was in the 1990s that the feverish search for the most ancient DNA from the most iconic fossils began. Scientists call it the “Wild West” and even “the Jurassic Park phase”. It is during this time that Jurassic Park’s influence is most evident. As well as being the year that the film was released, 1993 also marked a turning point in the world of ancient DNA research: a team of researchers extracted and sequenced DNA from a 125-130m-year-old ancient weevil in Lebanese amber. 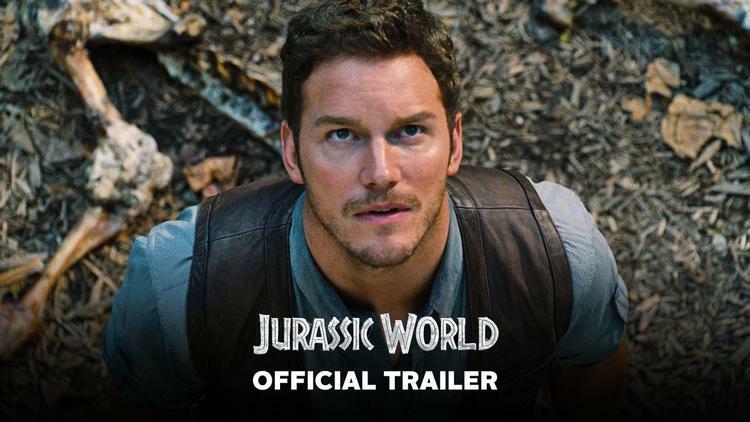 The results were reported in Nature on June 10 – one day after the Jurassic Park premiere and one day before its release in cinemas across the United States. The timing was not a coincidence – and this didn’t go unnoticed. One scientist I spoke to remarked that it was “absolutely extraordinary that a scientific journal like Nature would hold on to an article to wait for the opening day of a movie”. It “caused a huge media splash”. That year, Jack Horner – palaeontologist and scientific consultant to Jurassic Park – proposed a project to investigate DNA from dinosaurs to the National Science Foundation. The grant was funded the same year the film was released and this, too, was no coincidence. One scientist told me that they thought NSF funded the project simply because of the film: “It was the perfect time for it”. (This, and all subsequent attempts at securing dinosaur DNA, have failed). In addition to swaying publication timing and grant funding, Jurassic Park created a new generation of “geeky but glamorous” scientists. One researcher said: “Ancient DNA sounds cool” or “sounds like it should be cool”: “That really does stem back to Jurassic Park. It is still the legacy of that. That’s when it entered the popular consciousness”. It raised expectations about DNA and what ancient DNA could do. Unfortunately, because it was made by a great director – Steven Spielberg – it’s a film that sticks in people’s minds. When I give a talk about ancient DNA, they put up a poster and it has a dinosaur on it. I’ve objected. I’ve said: ‘there’s no dinosaur DNA. You should not show the dinosaur’. It’s had a bad influence. But for better or worse, the Jurassic Park legacy lives on. The rhetoric of resurrection has certainly blurred boundaries between fantasy and reality – especially in the media. The focus of this interest, however, has somewhat shifted. These days, questions are less about dinosaur resurrection and more about mammoth de-extinction, particularly after the discovery of potentially viable mammoth DNA in 2013. When I ask ancient DNA researchers about mammoth de-extinction the overwhelming majority ask me: “Why would you want to de-extinct a mammoth?” De-extinction requires significant technological and biological improvements, as well as philosophical, political and ethical considerations. If aliens landed and looked around then they’d be pretty surprised to see that we had decided to piss away the last of our resources on trying to bring back the mammoth. Jurassic Park has certainly left a long and lasting legacy. It is a legacy that makes us question our motivation for de-extinction. And with the release of Jurassic World, this debate over science or sensation is set to take centre stage once again. Read more here about the discovery of preserved cells in Canadian dinosaur bones. Elizabeth Jones is PhD Candidate in Science and Technology Studies at UCL.